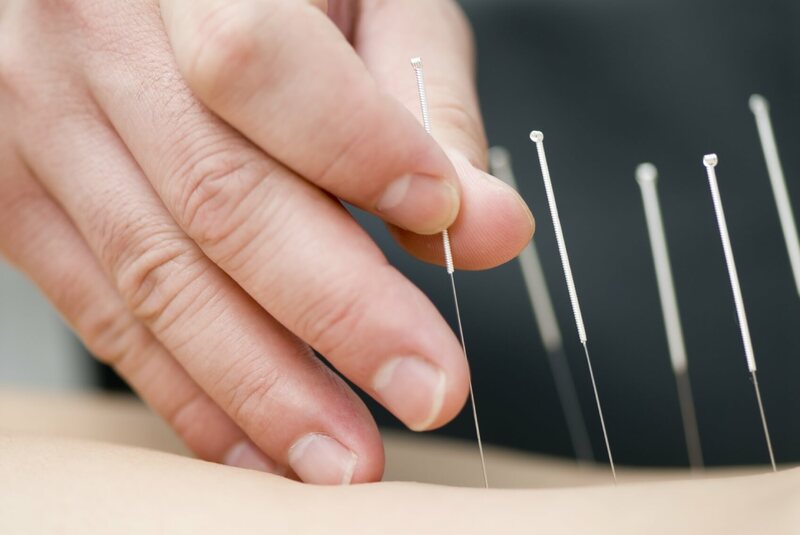 Trigger Point Dry needling involves using a filament needle, like those used in acupuncture, to treat myofascial pain and dysfunction. It is inserted into the muscle to help release trigger points and relieve pain. This technique differs from acupuncture in that it is based on Western medicine principles and not Traditional Chinese Medicine (Travell and Simons 1999). What Can Trigger Point Dry Needling Help? Myofascial trigger points (MTrP) are seen in both acute and chronic conditions and collectively referred to as Myofascial Pain Syndrome. Physicians Dr. Janet Travell and Dr. David Simons define MTrPs as “hyperirritable spots in skeletal muscle that are associated with a hypersensitive palpable nodule in a taut band”. MTrPs are thought to be caused by the nerves that control the muscles releasing an excessive amount of a chemical called acetylcholine (ACh). This build up of ACh results in a localized, involuntary contraction of muscle tissue that can cause muscle weakness and limited range of motion in addition to pain. These tight bands of muscle can restrict blood flow and nerve conduction which propagates this cycle of dysfunction. The pain produced by MTrPs can be localized to the area of tightness, but can also be referred or felt in a different area of the body. There have been several research studies and case reports that have documented referred pain patterns from MTrPs. By releasing the trigger points, the referral pain is thereby eliminated. Filament needles are inserted into a specific area of a tight muscle causing it to relax. Relaxation occurs either by stimulation of the MTrP in which a local twitch response occurs resulting in deactivation of that MTrP, or by causing a localized stretch of the tight muscle fibers. Normal muscle length and function is then restored by releasing this tension. Trigger point dry needling is one of the many tools that we use as physical therapists to help decrease pain and improve function in patients. It is an adjunct to joint mobilization, soft tissue massage, neuromuscular re-education, therapeutic exercise, ultrasound, modalities, and a home program to provide comprehensive patient care. We, at PTIS, have been using trigger point dry needling since 2006 and have seen dramatic results with our patients.